Of the many text editors out there, one of the best for Ubuntu 18 is the Atom editor by GitHub. Following are the steps to install Atom on Ubuntu Desktop 18.04 LTS. Download the Atom .deb package for Ubuntu 18.04. Install the atom.deb package with software install. Go to https://atom.io/ and click on the Download .deb link to download atom for Ubuntu Desktop. After the download is finished, right click on atom .deb package and click Open With Software Install. 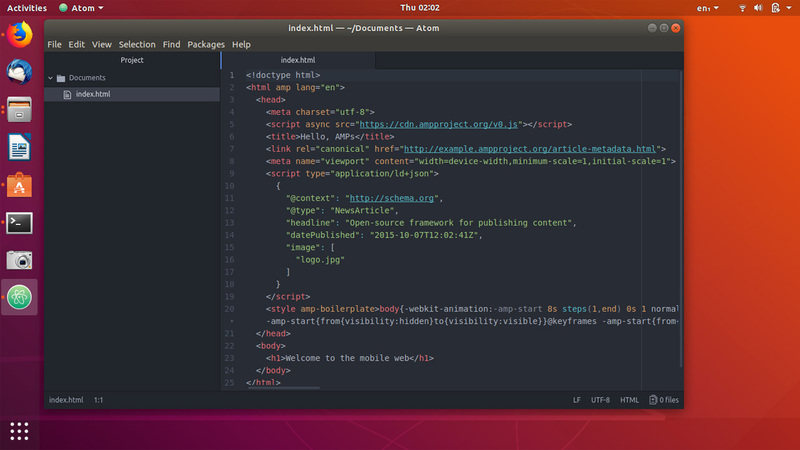 This will open the atom installer in the Ubuntu software center. Within the software center, click on the Install button to install atom on Ubuntu 18.04. After the process completes, You can launch the editor form the gnome application menu. And that is all! Enjoy coding with Atom.